We are so excited to meet today’s animal. They are large and in charge and have a pair of horns you don’t want to come close too! These large bovines can weigh up to 1,500 lbs. They can grow over 5 feet at the shoulder. They are considered one of the big 5 species in South Africa. That includes, lions, leopards, elephants, rhinos and Cape buffalo. Those large horns are a part of their skeletal structure. Males have larger horns than females and can grow up to 5 feet. The large area of the horns on the forehead of male is called the boss. 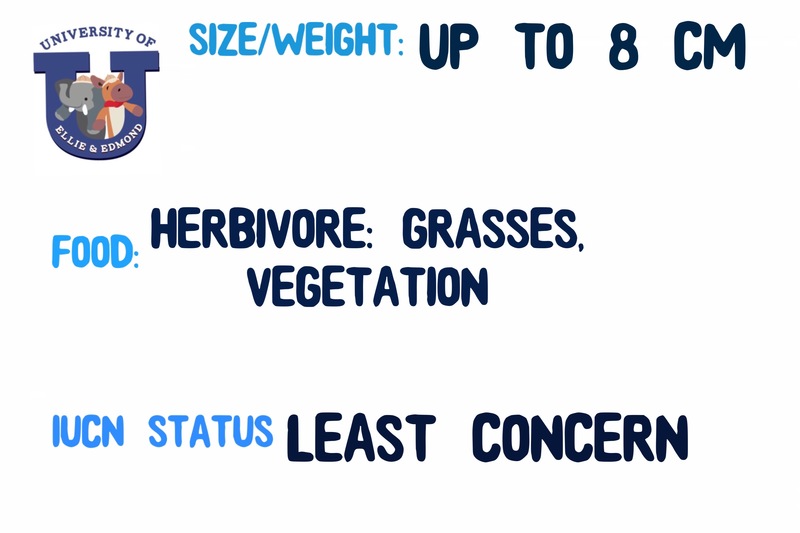 These large herbivores may only eat grass, but they are dangerous. They can charge without notice. Cape buffalo live in herds of 50-500 individuals. Younger males form bachelor groups within the herd. Older males may be solitary. The are listed as LEAST CONCERN by the IUCN. We wouldn’t say the Cape buffalo is the cutest animal on the block. You definitely do not want to get too close. A charging buffalo is not a cute buffalo. We are day number 3 of our back to basics month. 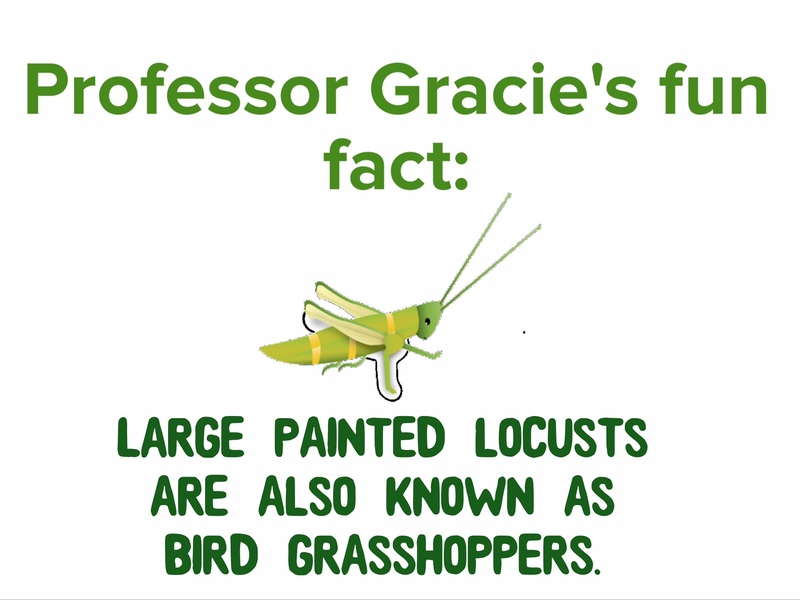 Today we are learning about insects with our professor of insects Gracie Grasshopper! Number of species- nearly 1 million, that’s right we insects account for about 97% of all known species on earth. We arthropods outnumber all other animals on earth. 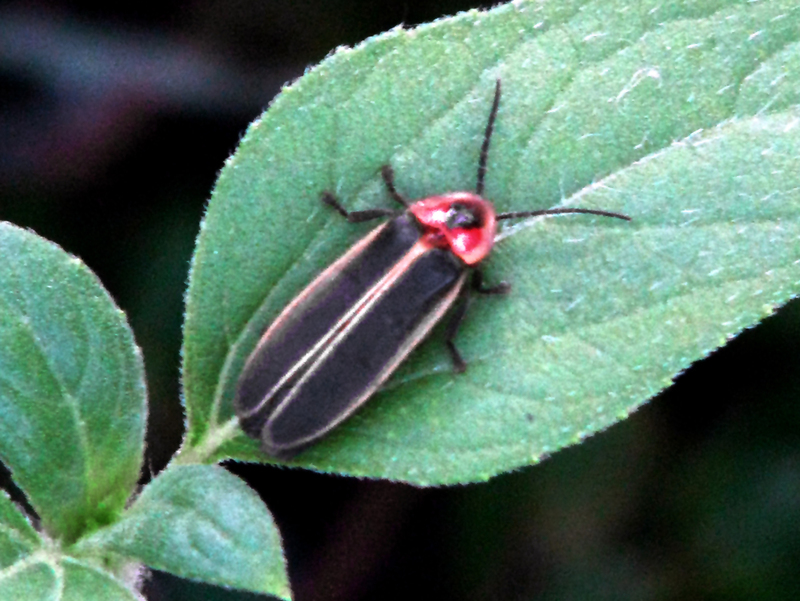 Insects have a segmented body. It’s divided into 3 sections; the head, the thorax and the abdomen. Insects are invertebrates. We do not have endoskeletons, like the mammals, birds, fish and reptiles. We have an exoskeleton! Our bodies are covered in hard coverings made of chitin. We have two antennae and 6 legs. Each leg has five parts. Insects are generally divided into two groups, insects with wings and insects without wings. I myself have wings. We either have compound eyes or simple eyes and there are some of us with both types. We do not have true ears, but we have organs that help us listen to vibrations in our environment. We do not have lungs or gills to breathe. Instead we have a series of tubes to “breathe” oxygen and expel carbon dioxide. Yes, we insects have brains. They are tiny and we don’t quiet use them the way other animals do. There you have the basics of being an insect! Adult insects have 6 legs and 3 body parts. Most insects have a pair of antenna (mine are quiet nifty)! Most insects have wings- including me! Spiders are not insects, they belong to the arthropod order! Who is ready for insect mania part 2? Let’s get this party started! 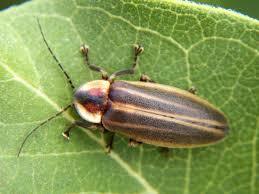 There are more beetles on the planet than any other animal. The account for 1 in 4 animals on earth! The oldest known insect fossil dates back 400 million years. Bees can fly up to 60 miles per day gathering pollen. 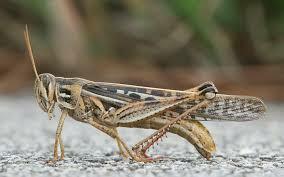 Katydids have ears in their front legs! Rhinoceros beetles can lift an object up to 850 times its own weight. Wowzers! Insects are so varied and amazing! You could spent a lifetime studying these amazing creatures! Hellooooo!!! 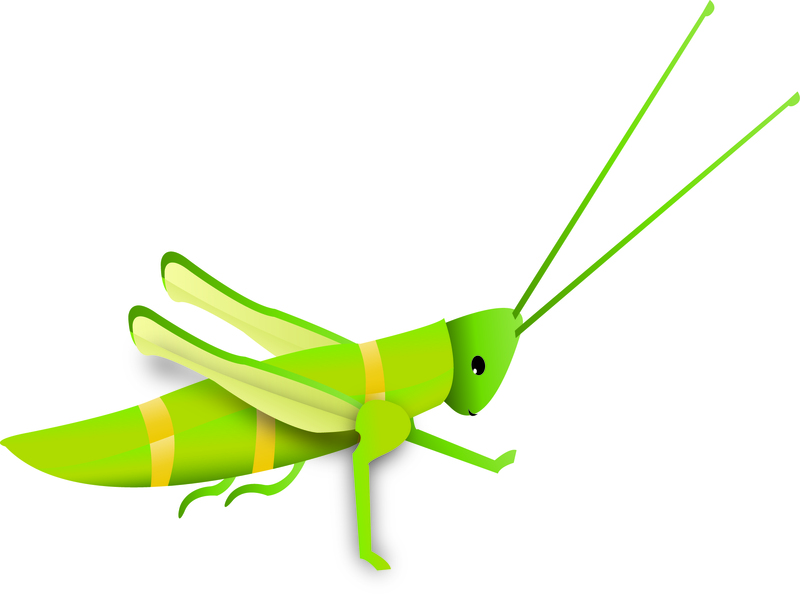 I’m Gracie the Grasshopper! I am the new professor of insects and invertebrates here at the University of Ellie and Edmond. I’m hoping with excitement to share the world of my insect friends with you. I know Carl the Chameleon and Rita the rat think they get no respect, well try being a small multi-legged animal that people think are gross, horrifying or yucky!! I’ve got a big job ahead of me to teach you about all the amazing insects of the world. Ok, it may not be all the insects of the world, because there are nearly 1 million species of insects and scientists estimate that number is only about 80% of what has been discovered. That’s right folks, we insects rule the earth!! And without us you couldn’t survive!! I live right near the University! 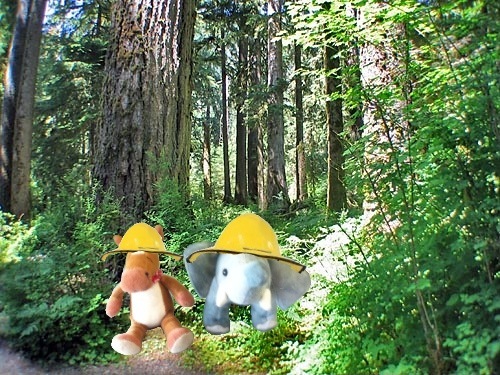 Ellie and Edmond were out taking a stroll and we struck up a conversation! I was so elated when they asked me to take this position. 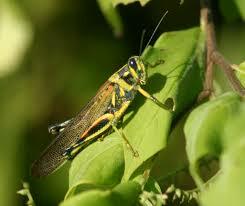 Along with my other grasshopper relatives I am an herbivore. I have large compound eyes and antennae on my head. I also have a nifty exoskeleton and I can camouflage to hide myself rom predators! Man can I jump! I love jumping! I jump from plant to plant munching away! I’m ready to jump into the world of insects and I hope you come along!!! We’re going to the coast of Mexico to find today’s creepy crawly creature! This one in particular is creepy to Ellie! She may end up staying in the truck! Gather your courage and head out on this adventure! Are you ready to meet this creepy crawly creature? MEET THE RED KNEED TARANTULA! Red Kneed Tarantulas are nocturnal (active at night). Like other spiders they have 8 legs and an exoskeleton. 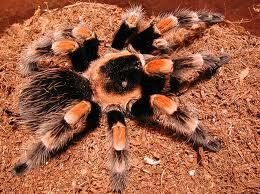 Red kneed tarantulas have hair all over their bodies. They rub their back legs together if threaten. The hairs can cause a rash or even blindness if release in the eyes. Red kneed tarantulas are venomous. They bite their prey with fangs and then inject the venom. They burrow in the ground. They don’t have a backbone like you instead they have a hard exoskeleton on the outside of their bodies. 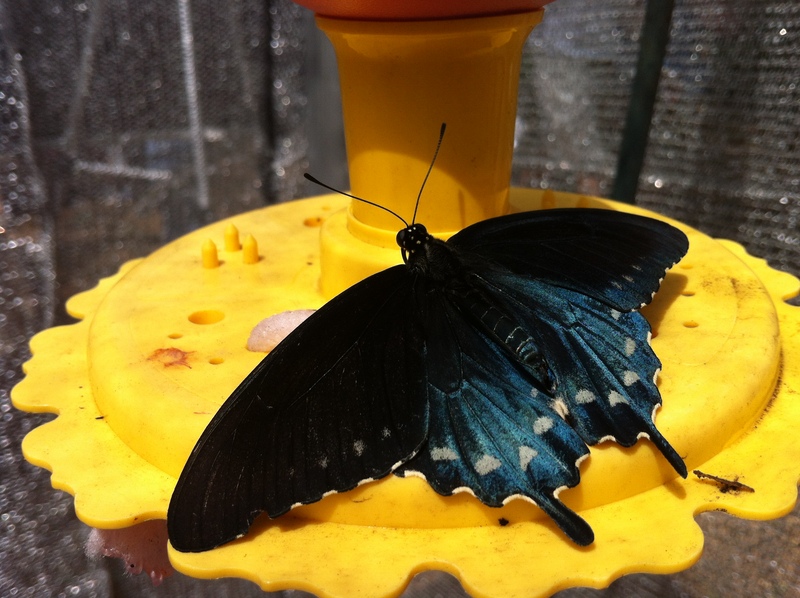 Because they have an exoskeleton they must molt 2-3 times a year as they grow. 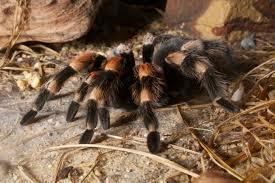 Red kneed tarantulas can live up 20-30 years old. Ellie is afraid of spiders, but learning about them helps her not to be afraid! 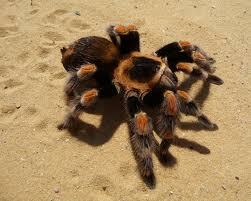 Red kneed tarantulas are not harmful to humans or elephants ! We definitely think they’re kind of pretty with their bright colors! 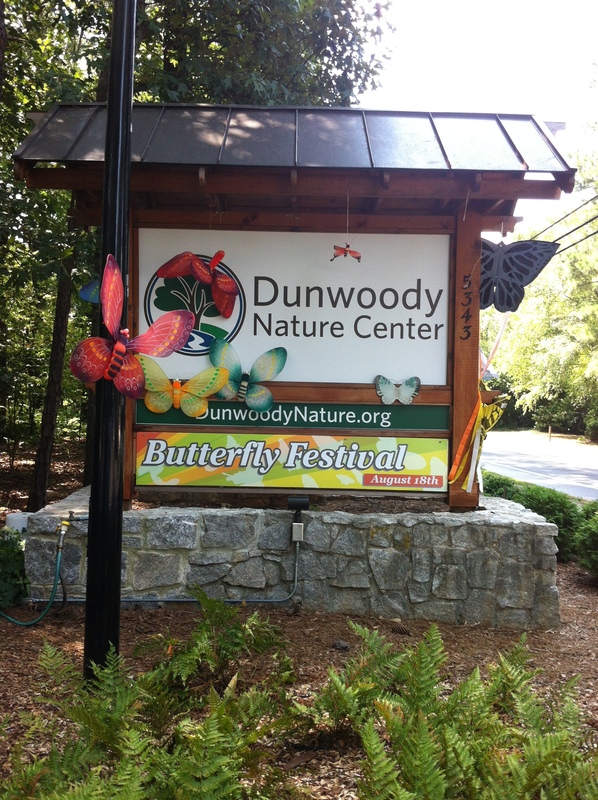 The Dunwoody Nature Center just north of Atlanta had a Butterfly Festival recently and of course we had to go! Our good pals Trevor and Ayden came with their parents, so it was a party for everyone! 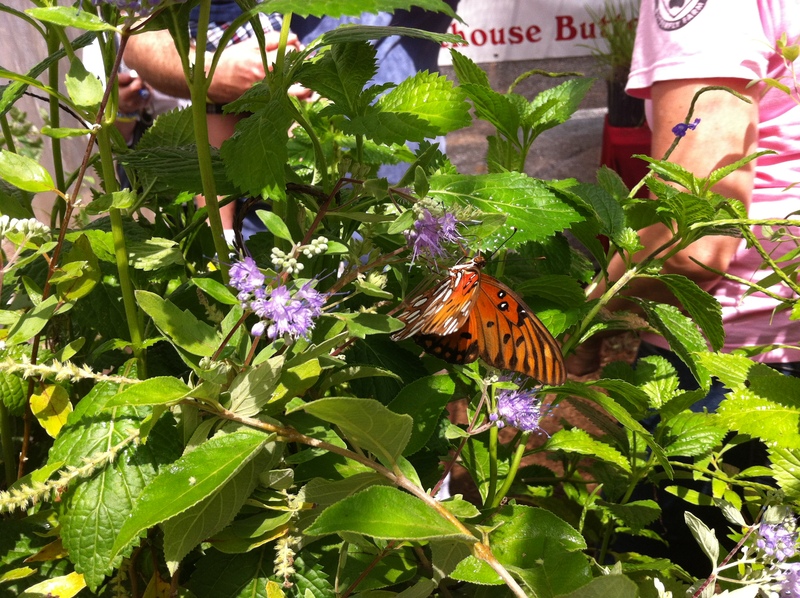 Butterfly Festival here we come! We had a lovely time exploring this neat little nature center and all the festivities they had throughout the day! 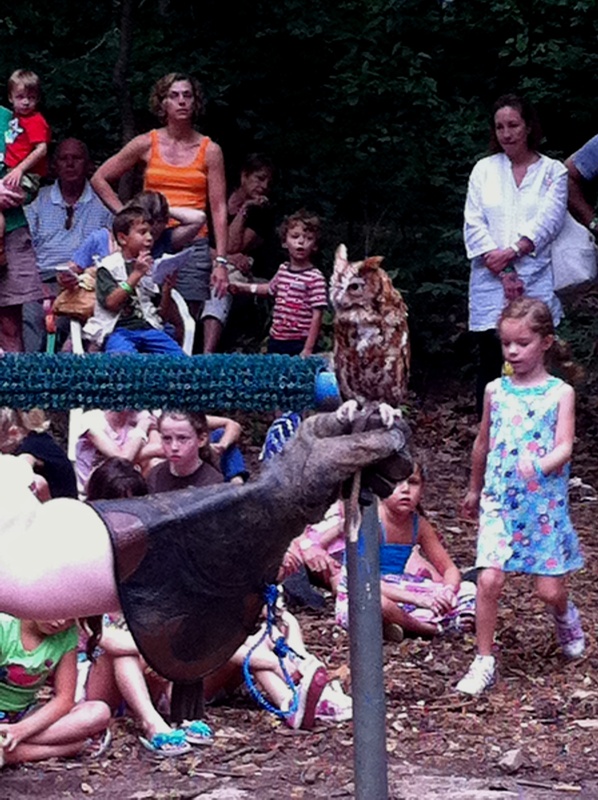 First up we saw a Birds of a Prey show presented by Nature’s Echo. We’re getting ready to meet some birds of prey! 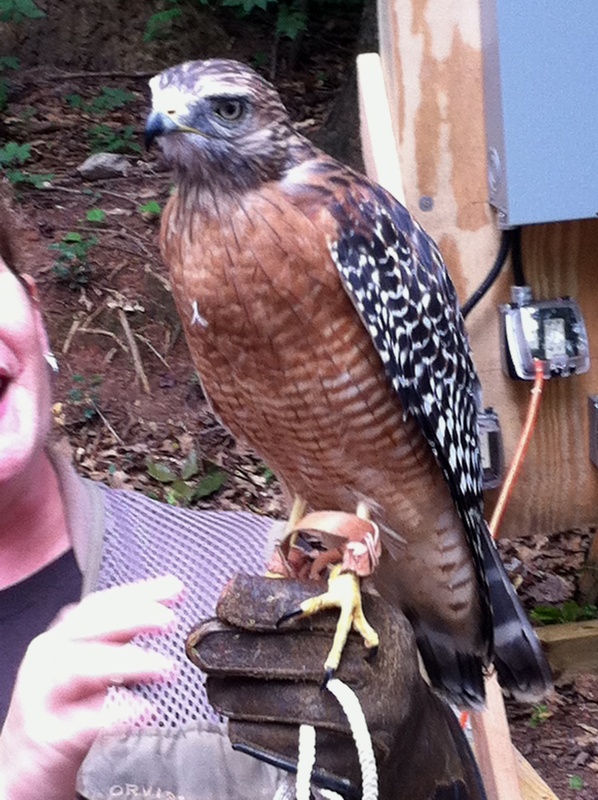 The ladies from Nature’s Echo had 3 birds with them; a Mississippi Kite, a Screech Owl and a Red Tailed Hawk. These amazing birds were so cool to see up close and we learned some super neat facts about them! 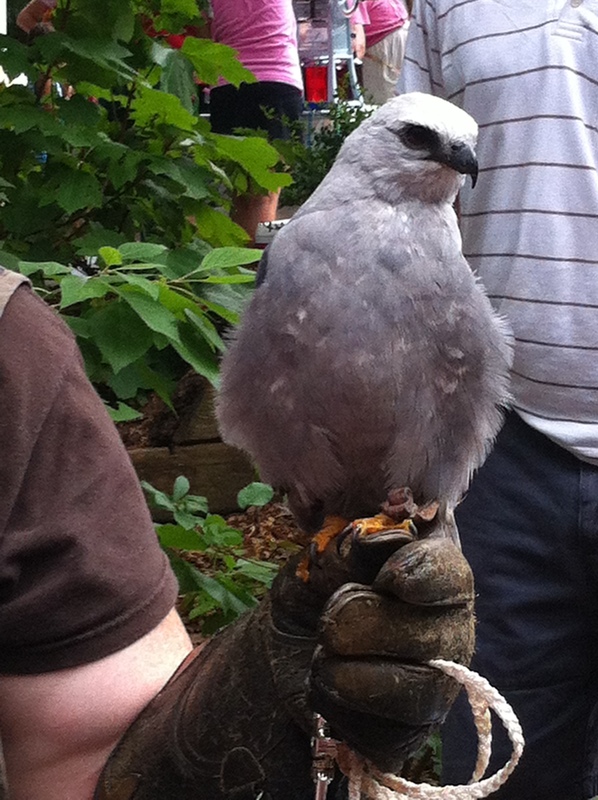 A Mississippi Kite’s eyesight is so keen they can see every wing beat of a hummingbird’s wing. Owls have 14 vertebrates in their necks. It is illegal to own a raptor feather in the state of Georgia. An owl’s ears are off set on their head. Mississippi Kite having a snack! Screech Owl! They are really small! Edmond & Trevor meet the kite! 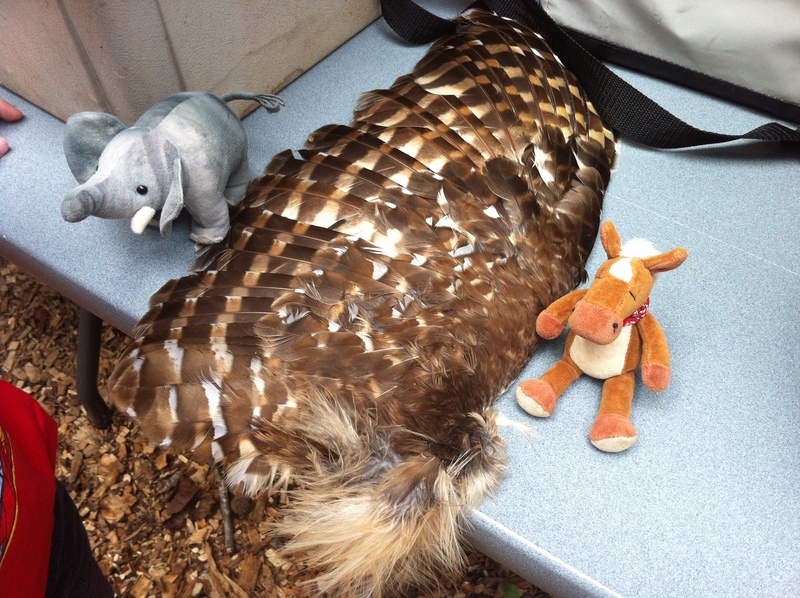 We met a red tailed hawk! 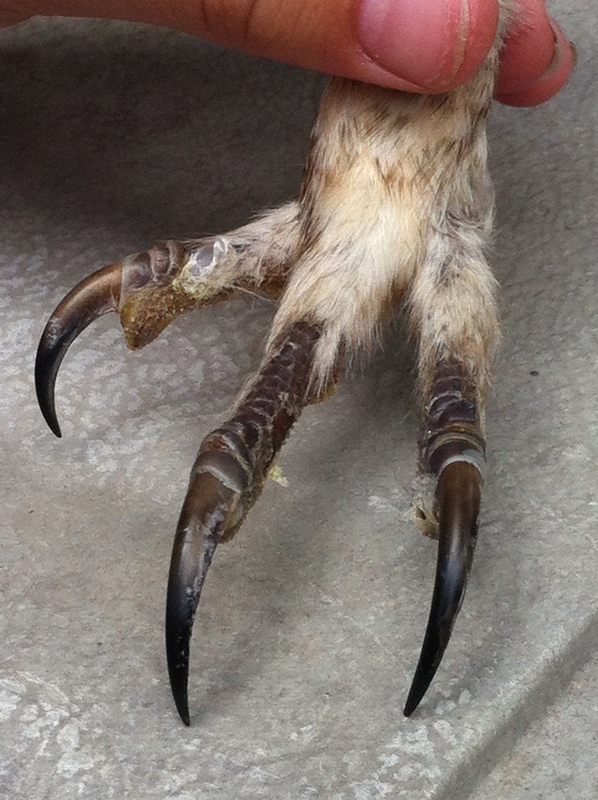 Check out this talon! Wow! They had a wing you could touch and feel! Wow! Raptors have some super cool adaptations! 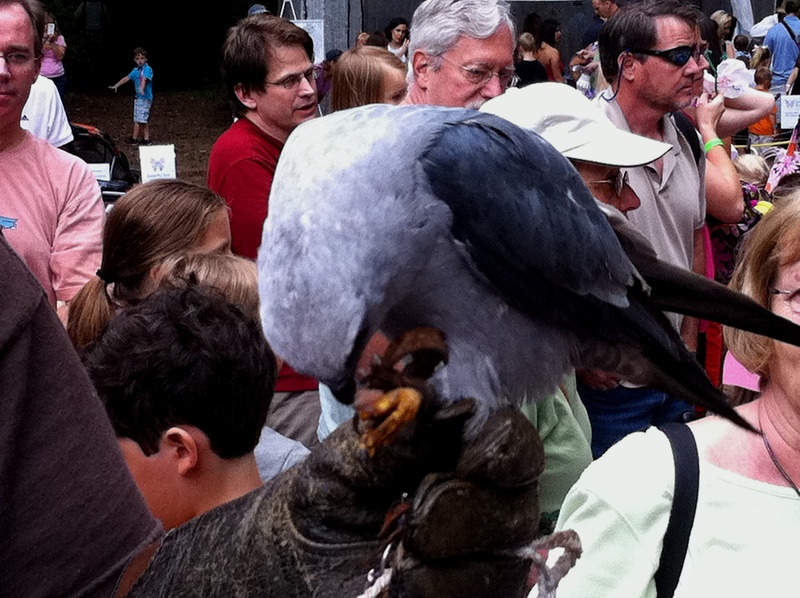 We really enjoyed meeting these gorgeous birds! 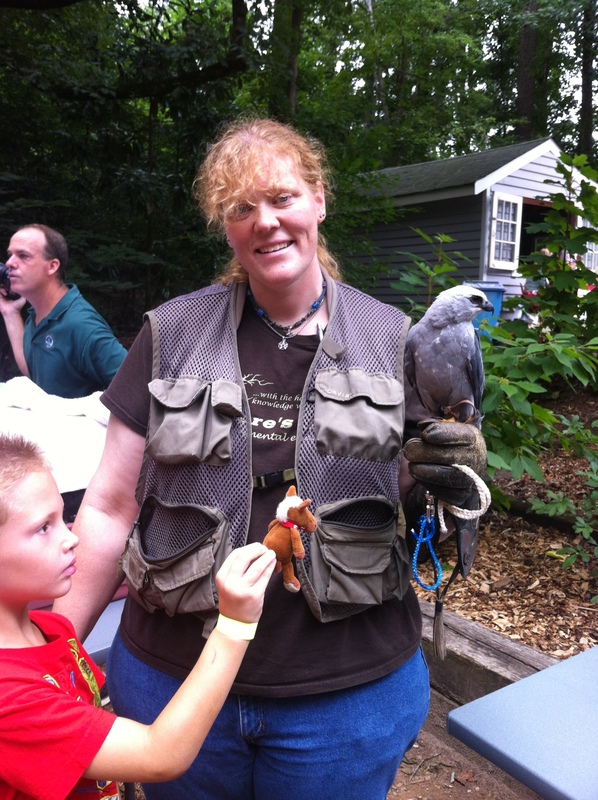 After the birds of prey show we wandered around the nature center’s grounds to check out the fun activities and vendors! You could make crafts, enjoy treats or get a bug tattoo! We wanted a tattoo but we couldn’t decide where to put them. 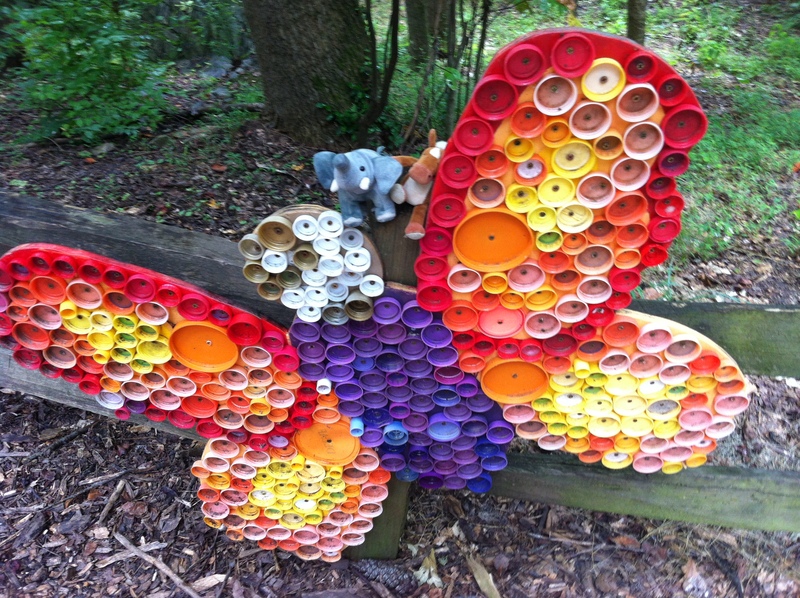 This butterfly is made of bottle caps! Reusing items to make art is awesome! 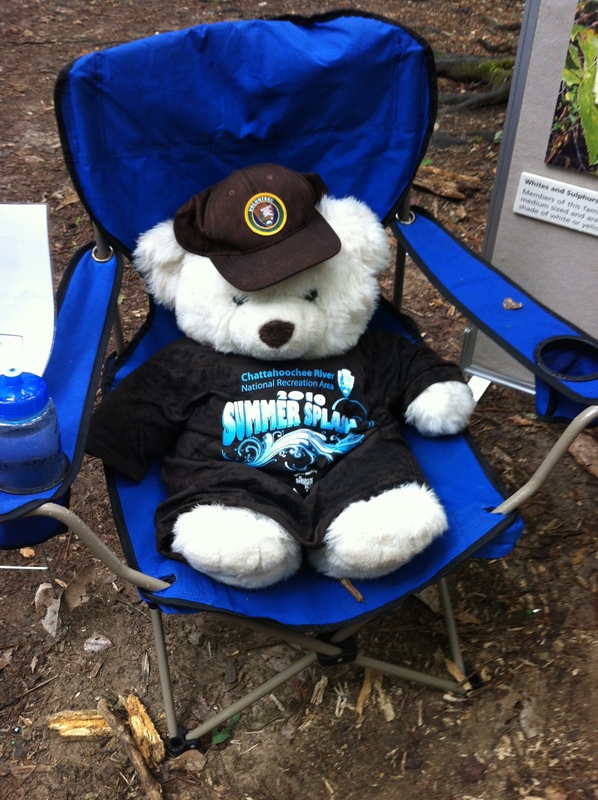 We ran into this wonderful bear in his National Park outfit! 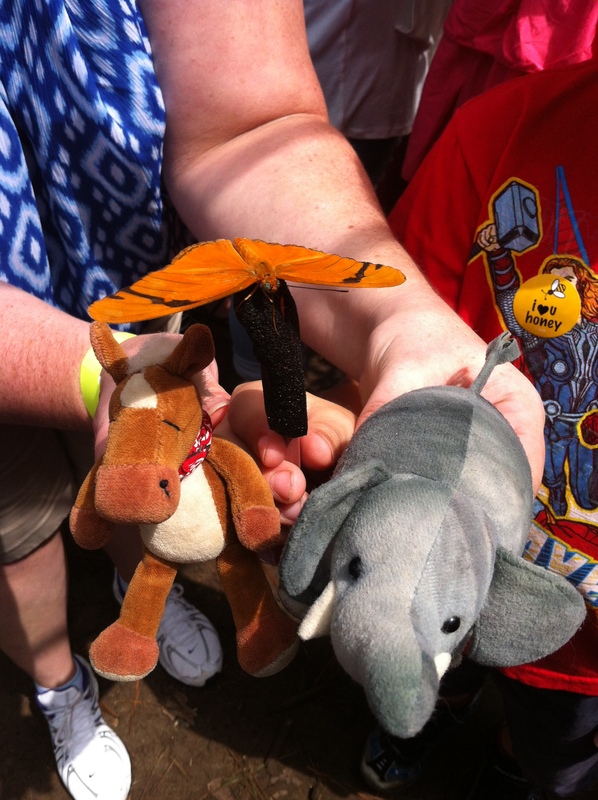 It finally was time to enter the butterfly tent and man, were we excited! We could hardly contain ourselves! 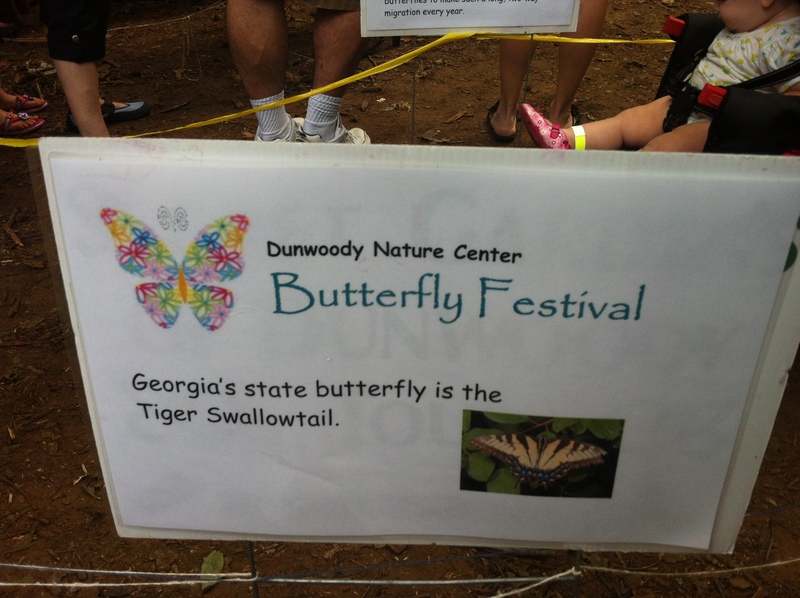 Luckily we learned some fun butterfly facts as we waited in line! 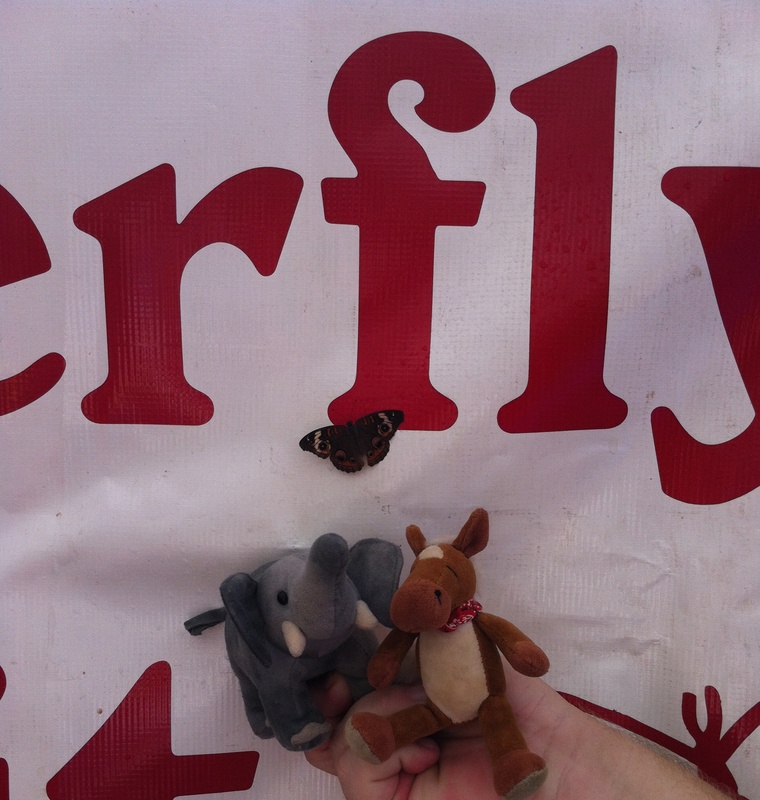 We finally made it in the tent & there were butterflies everywhere! They were all different sizes, shapes and colors! We just loved meeting each one of them! 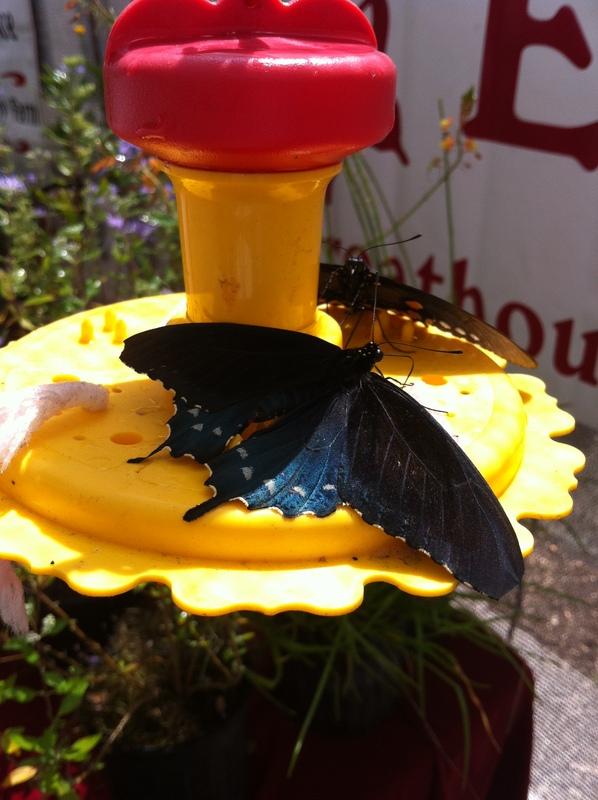 Butterfly sits on a feeder! Can you spot the butterfly? 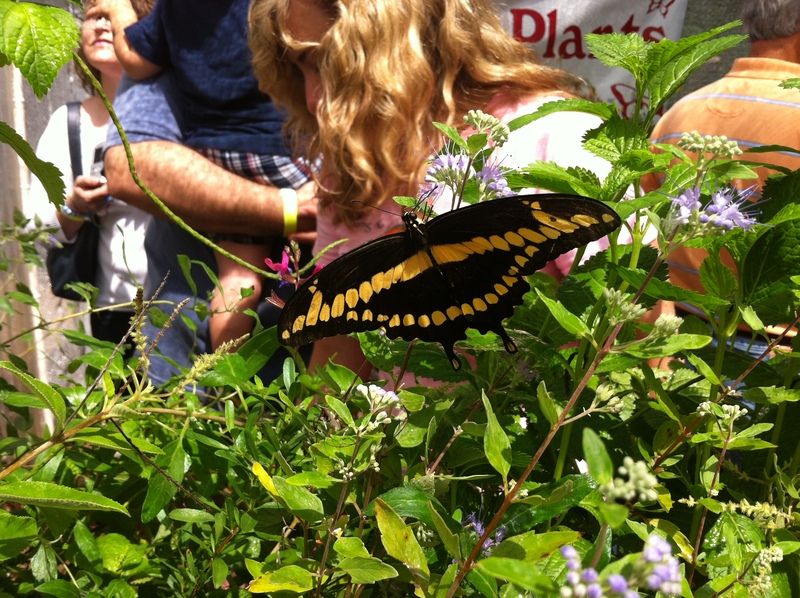 See the tiny butterfly above us? Trevor & his mom helped us find this lovely butterfly umbrella! One last gorgeous butterfly shot! 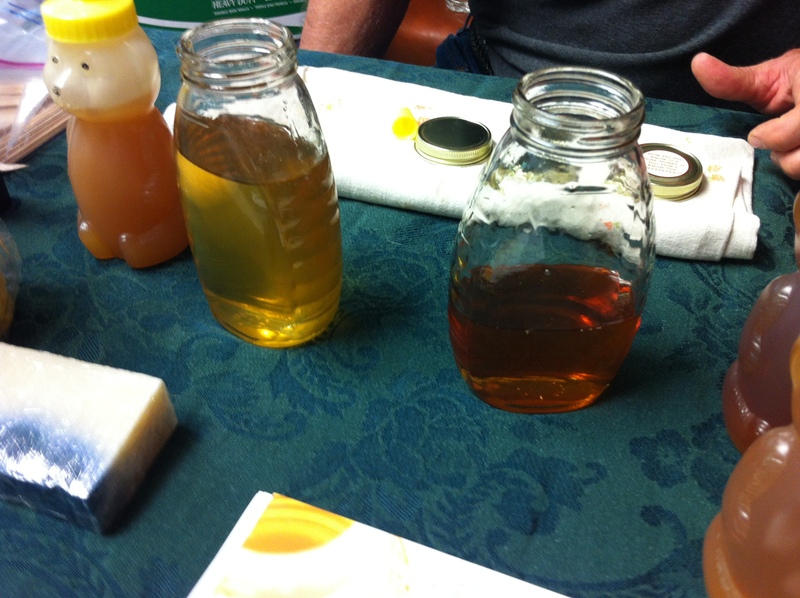 Our last stop of the day was inside the nature where we met some local beekeepers and sampled their honey! Yum! 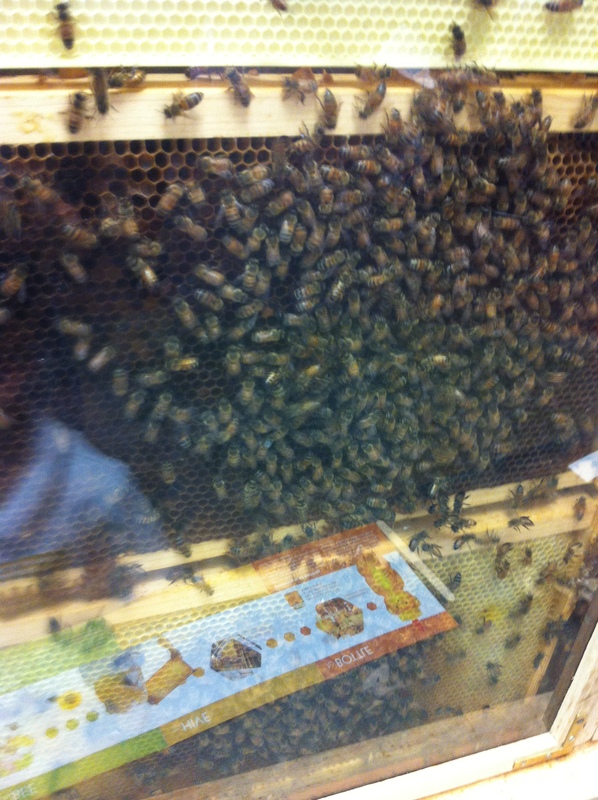 We could see the inside of the hive and we spotted the queen thanks to one observant boy who found her! Did you know that they queen has a yellow spot on her back? Cool! 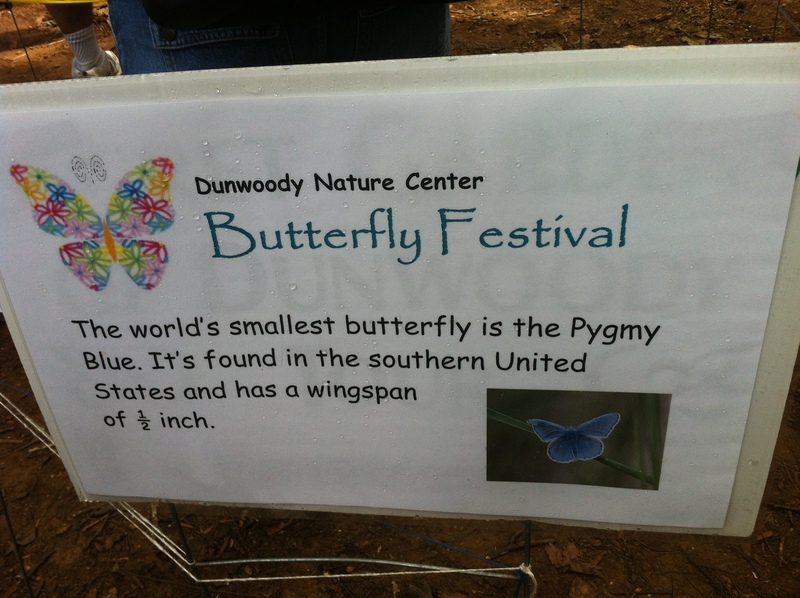 We had the best time at The Dunwoody Nature Center’s Butterfly Festival! 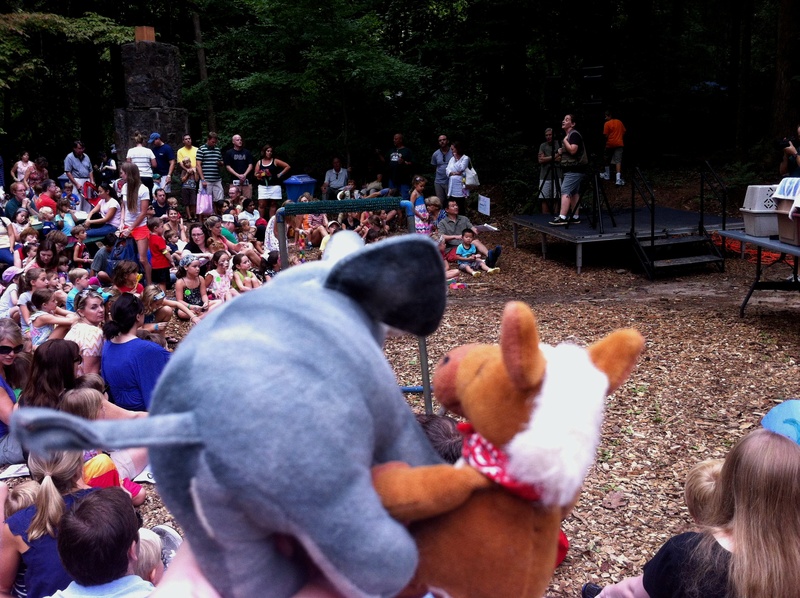 If you’re in Atlanta you should check out this special nature center and all their fun activities! Hey everyone! So this month’s craft is really more of an activity to get you outside! We’re a bit late with posting it, because we had some IT issues with our conversion :)! Anyways, we hope you enjoy BACKYARD BINGO! That’s right folks, we made you a bingo game to take outside to your backyard or your local park! It’s PDF (our first) so please let us know if you have any trouble printing it!